This story is an unusual one because the video was a confession to the world and the driver allegedly made and posted it intentionally to apologize for his actions and to try to deter others from driving drunk. However, there are many other drunk driving cases where social media evidence unintentionally provides help to the prosecution. 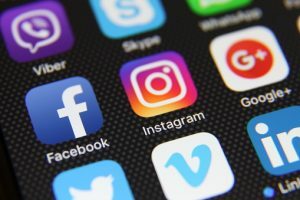 Because of the risk that social media evidence could be used against you in a drunk driving case, it is important to be careful about what you put online and to speak with your Houston DUI lawyer if you are charged with drunk driving and there are any potentially incriminating pictures or videos online. Information posted on social media is rarely private, even if you believe that the pictures or comments being posted are only being shared with friends. Pictures that you or someone else you know posts may reveal a great deal about you, some of which can potentially incriminate you or be used as evidence to bolster a drunk driving case. For example, if you were arrested for driving under the influence and there are pictures of you earlier that night drinking a beer or smoking a joint that your friend posts on Facebook, these pictures could potentially be used to show that you had consumed drugs or alcohol earlier in the evening before the accident. Likewise, pictures can reveal that you were at a specific location at a given time if there are questions about your actions leading up to the DUI, and any comments that you make about the evening of your drunk driving charge or about the charges pending against you could also potentially be used by the prosecution in your case. The drunk driver who posted the viral video confession of drunk driving has explained exactly what he did on the evening when he killed his victim, and his story provides the prosecutor with invaluable information that can be used to secure a conviction. Yet, NBC reports that, despite the video confession, he has currently entered a plea of not guilty to the charges. The young man has indicated he plans to change his plea to guilty once the case has been assigned to a judge. A CBS News story reveals that some believe he may have made the confession to try to garner sympathy and thus get a lesser sentence when he goes to court. If this was his intention it was a risky gamble, so it is not surprising that it was reported he made the decision to post the video against the advice of his attorney. You need an experienced, aggressive Houston DUI lawyer. Call 1-800-989-6839 today for your free consultation. More than 20 years experience.